Window-list displays a list of current open desktop windows. Windows can be activated by selecting them from the menu list. 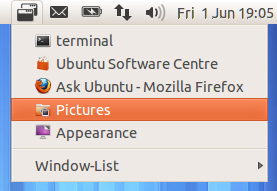 After switching to Unity from Gnome, I immediately missed the bottom showing all the current open windows. In Unity, it's easy to lose windows behind others. While you can retrieve them by clicking on the programs icon on the Unity dash, it can be cumbersome if you have multiple windows of the same program open. I developed Window-List to solve this problem, by displaying a list of all open windows via an icon on the Unity top-panel indicator area. 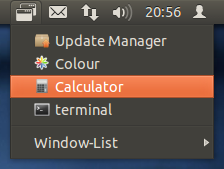 Window-List is available for all versions of Ubuntu running Unity (Natty 11.04 onwards). Window-List can also be installed via deb package, which is also available from the launchpad repository. Window-List is released under the GPL 3. More information on the GNU General Public License is available here.